Reviews for “Rogue One: A Star Wars Story” are in, and critics are calling it “groundbreaking” and the “best ‘Star Wars’ prequel film” yet. “‘Rogue One: A Star Wars Story’ delivers everything fans would want from a “Star Wars” movie: stirring action, beloved familiar faces, and a deepening of the mythology of the series. Everyone wins,” wrote Detroit News film critic Adam Graham. Also Read: Does 'Rogue One: A Star Wars Story' Have a Post-Credits Scene? 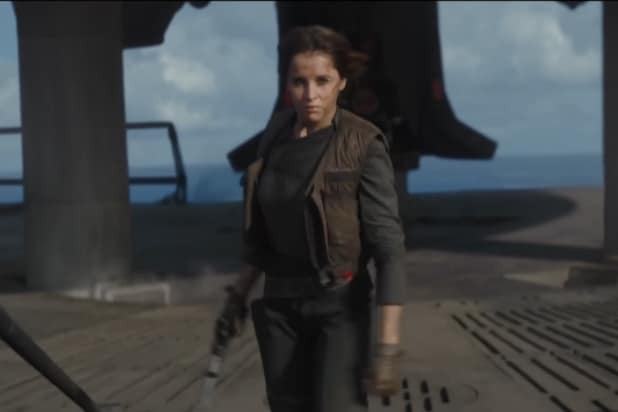 The new film, directed by Gareth Edwards (“Godzilla”), stars Felicity Jones as rebellion leader Jyn Erso. It takes place between the prequels and original trilogies and depicts Erso’s efforts to steal the plans for the Death Star, the ultimate weapon of the Galactic Empire. Among Erso’s allies are Rebel intel officer Cassian Andor (Diego Luna), Force warrior Chirrut Imwe (Donnie Yen), and Clone War veteran Saw Gerrera (Forest Whitaker). Mads Mikkelsen, who also played the villain in Disney-Marvel’s “Doctor Strange,” plays Galen Erso, Jyn’s father. “Rogue One” hits theaters on Dec. 16. As we head into the high-stakes battlefield that is "Rogue One," fans are gearing up for all-new gadgets, aliens and even a few ships along the way. But do you know of all the ones that matter? Here's a list of the most common (and useful) spacecraft used during the time of the Empire's rise. The Imperial Star Destroyer was one of the Empire's most efficient and feared ships, so useful and durable that even the First Order adapted the design for its use decades later (naming it the Resurgent-class Star Destroyer). Granted, this dagger-like ship isn't the first of its kind, but while earlier versions belonged to the former Republic during The Clone Wars (known as the quaz-class Star Destroyer), this model became popular under the Empire. The Empire (and those who would eventually be inspired by it) seemed to have a specific theory: if it works one way, build it even bigger. Such is the case with the Super Star Destroyer, a monster of a ship that could measure up to almost 20,000 meters in length, and was commonly packed with over 5,000 ion cannons and turbo lasers to disable and obliterate any enemy. These titanic ships required at least 280,000 crew members (not including droids) to run. The First Order also adapted the design for their use. The reliable and useful U-Wing is one of the newest 'old' ships introduced in "Rogue One." Far more massive than your standard X-Wing fighter, the U-Wing is a swing-wing vessel built to withstand heavy fire zones in order to deliver Rebel soldiers into battle. Expect to see a lot of this one. The Y-Wing might be one you'll have to squint for (don't quote us on that), but old faithful is packed with tons of tricks. There's a reason the trusty Y-Wing is still in use during the time of the Rebellion, and not just because it was cheap. While they may have not been packed with firepower, the Y-Wing was large and could take serious hits while completing its missions. TIE Fighter: Despite the Empire not having a very good rep when it comes to hitting targets, these wild fighters came with enough maneuverability that a skilled pilot -- like Ciena Ree from Claudia Gray's novel "Lost Stars" -- could be deadly in them. X-Wing Starfighter: The most well-known and beloved ships within the Rebellion, these fighters were fast, precise and even had room to bring an astromech buddy along for navigation and targeting help. The ship boasts four laser cannons and two proton torpedo launchers, specifically for that extra nice shot into an Imperial mistake. TIE Bombers: Different from the other two previously-mentioned models, these deadly, bulky ships could still maneuver into tight spaces while packing an extra punch. Alderaanian Cruiser: Better known among long-time fans as the CR-90 Cruiser, these Alderaan-made ships were primarily used to transport royals and dignitaries of the planet with their convoys. This was the ship Princess Leia used in her attempt to deliver the Death Star plans to the Rebellion, called the Tantive IV. The very same ship has been in use since the time of The Clone Wars by Leia's adoptive father, Bail Organa. With Jimmy Smits' Bail confirmed to appear on-screen in "Rogue One," it might be worth keeping an eye out for his homeworld cruisers. Quasar Fire-Class Cruiser Carrier: Recently introduced in "Star Wars Rebels," these Imperial vessels primarily served as docking points for the Navy's various ships. The cruisers usually hung out above Empire-occupied worlds, making for easy access points if ships or cargo needed to be transported back and forth. The Rebels got their hands on at least one model, a few years before the Death Star's destruction. Here's a stretch that might not end up in the movie at all, but could be interesting to look for: the Mon Calamari cruiser. Admiral Ackbar helped lead his people into the Rebellion, and within the pages of the non-canon "Legends" universe, these massive cruisers maintained a humid-air interior to keep the fish-like species healthy. Originally built as passenger vessels, the donated cruisers would eventually be credited for helping save the Rebellion above Endor's forest moon, as it battled the relentless Empire. B-Wing: This ship requires skill to maneuver, twisting and turning its wings in circular motion while the cockpit kept the pilot upright. The first Rebellion B-Wing was flown by Hera Syndulla in the second season of "Star Wars Rebels" ("Wings of the Master"), and built by a Mon Calamari named Quarrie (after Star Wars concept artist Ralph McQuarrie). 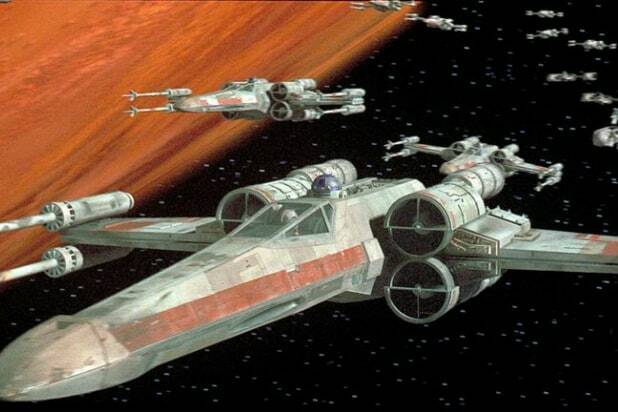 The B-Wings shined in "Return of the Jedi," swooping in to take out the Imperials over Endor. A-Wing: If a ship ever belonged in a Hogwarts house, the A-Wing would be Gryffindor -- bold, fast as lightning and deadly when piloted by the right person. These vicious fighters may not have boasted the greatest shields, but enemies rarely got close enough for that. The A-Wing shined the brightest in "Return of the Jedi," when the Green Squadron turned directly on the Empire and began a relentless attack that slowed the baddies down above Endor. Only the best hotshots braved these vessels. TIE Striker: This sleek new fighter debuted back at Star Wars Celebration, with wide, fang-shaped and flat wings. For anyone familiar with the scream of a standard TIE fighter, this speedster is designed with the same sound in mind, and is made for combat above more dense environments. Imperial Delta-class T-3c shuttle: Every bad guy needs a sweet ride, just like Kylo Ren had in "The Force Awakens" -- cue Director Orson Krennic's sleek Imperial shuttle, which isn't much different in functionality outside of the fact that it's usually occupied by Death Troopers instead of those other guys.